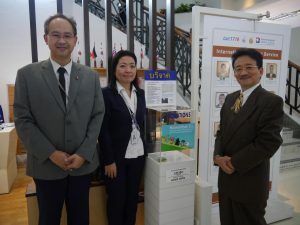 On 10th November 2015 Phuket, Thailand – General Incorporation PLAJA appointed Mr Hideki Fukunaga to Press Release director. At Japan office of PLAJA, We will contribute to activities for member acquisition, built to sensible relationship with community. Since I became in charge of Press Release of General incorporation PLAJA, I will do my utmost best to be able to live up to your expectation. I will appreciate your guidance and support in the future.